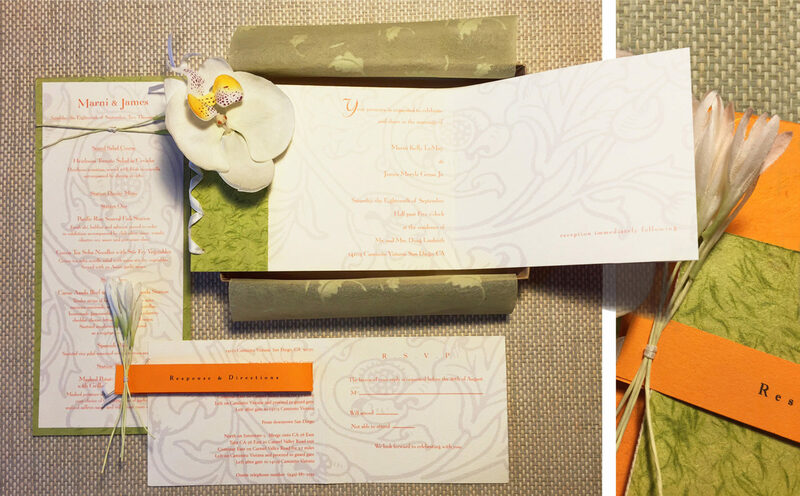 The bride’s flowers and colors inspired a lush floral motif, featuring paper orchids, white accent blooms, vintage graphics and woven silk ribbon. 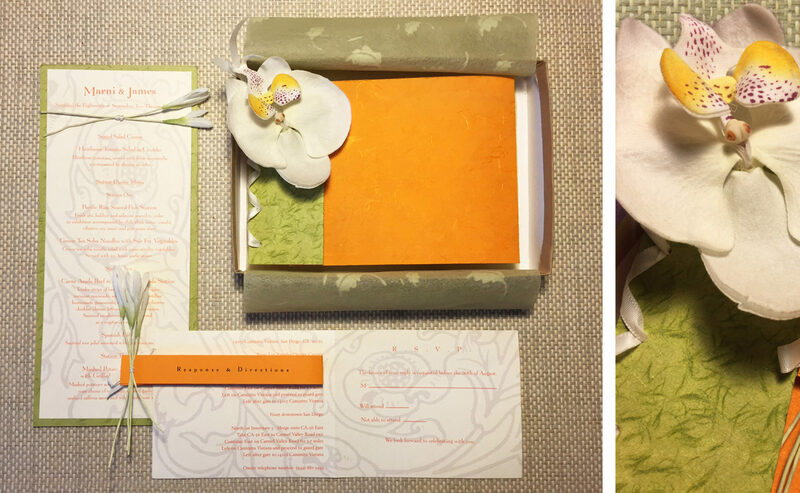 Handmade paper, ribbon binding and Japanese tissue wrap completed the exquisite presentation. 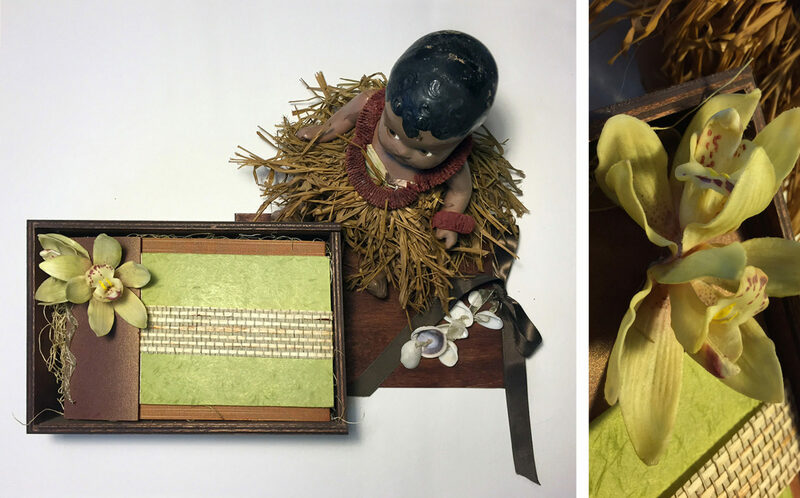 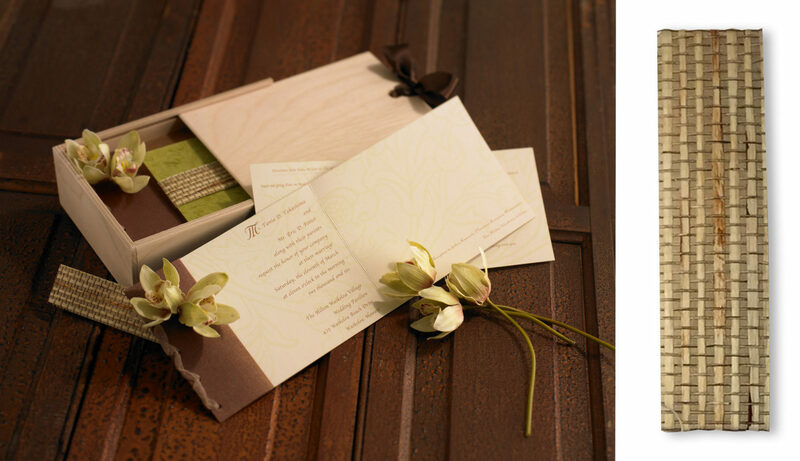 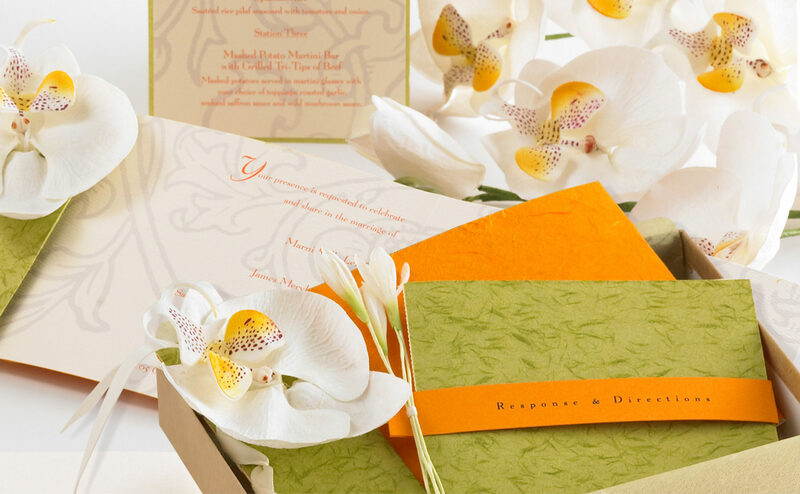 A second variation captures the beauty of Hawai’i with a handmade-paper invitation wrapped in a woven fiber band, adorned with silk flower flourishes – all encased in an exquisite wood sliding box embellished with seashells.